A21 year old eyelash technician and entrepreneur has brought her booming beauty business to the DCU Glasnevin campus. Thammy Nguyen is the owner of ‘Thammy Lash’, a lash enhancing business. Nguyen built it up from nothing, and it now has an international market. This hugely successful business runs across three salons in Dublin, and has given Thammy quite the social media profile for her product and services. “The ages of girls that come to me are between 19-22, and I just thought to myself here’s a place with hundreds of girls that age walking around,” she said jokingly. Despite starting her business over three years ago, Thammy’s rise to success occured over the past year. She flippantly notes that really, it happened “by accident”. “I started doing eyelashes three years ago and it was all because I got a starter kit from a friend. I used to do one appointment a week just to cover petrol money, but then my business just took off from there.” Thammy said. “I set up a Facebook page, and didn’t really do much advertising because the news of my business just spread by word of mouth. It’s funny it just kind of happened,” she said. As well as working as a technician, Thammy decided to bring out her own eyelash products, “After the interest in my Facebook page took off, I decided I wanted to do something different and not just be like everyone else. Why would I use other people’s products on my clients, when that money could be staying in my pocket,” she said. “I said to myself, listen, if making my own products doesn’t work out, I’ll just use them for myself. But that was last January and I haven’t looked back since, it’s one of the best decisions I’ve made in my life. Despite being one of the most sought after go to people in the Irish industry, Thammy didn’t have an easy start, and worked hard for everything she has now. Before her interest in eyelashes, Thammy was heavily involved in weightlifting, and was the first girl to enter competitively in weightlifting for Ireland at an underage level. While most 21 year olds are interested in completing degrees or going out to expand social lives, Thammy is very committed to her business, even at such a young age. For Thammy, her motivation to set up a business while all her friends are at very different stages to her came from her parents. “I’ve been translating for my parents since I was six, and I think that’s why I’m so mature now. 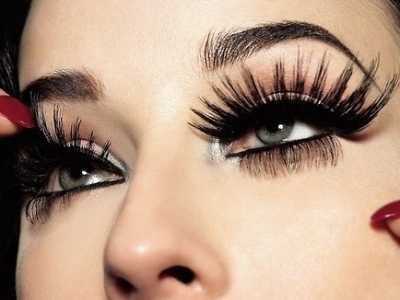 “It was just a simple little idea, that has made me a brand ‘Thammy Lash’. I send my products all around the world, I ship to the US every week. “What I’m hoping to do for my next step, I don’t know. I am trying to branch into the UK market now with my products, and they seem to be popular in Manchester. So I’m just going to keep going with my gut feelings, it hasn’t done me wrong so fair.